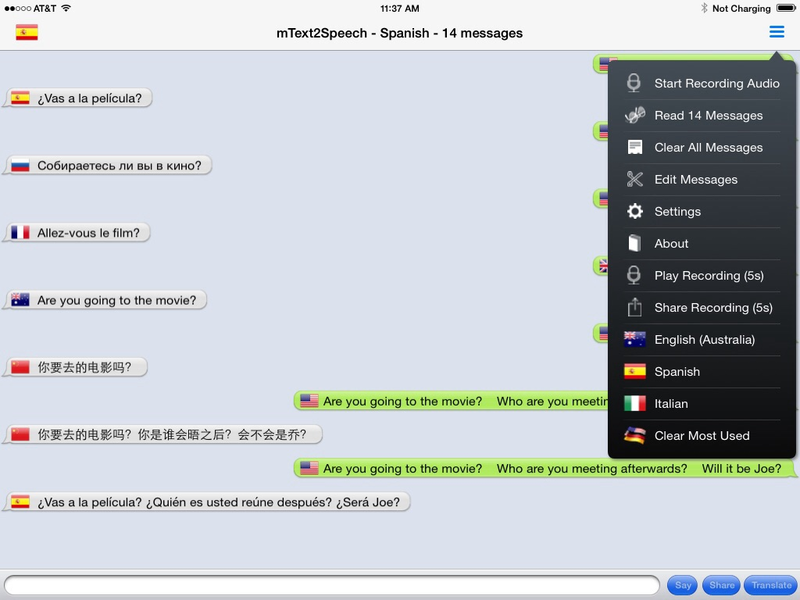 Easy text to speech processing with auto language translation — great for traveling or learning a language. Over 500 language locales. Even share an MP3 audio file of the spoken text. Easy, powerful text to speech processing with automatic language translation between over 80 languages. Great for traveling, learning a language or a quick translation. Translate and read text in natural sounding voices. Share audio using services such as Facebook and Twitter. Save translations, share MP3 audio of spoken translation, track your three most used languages and read all messages with language indication.